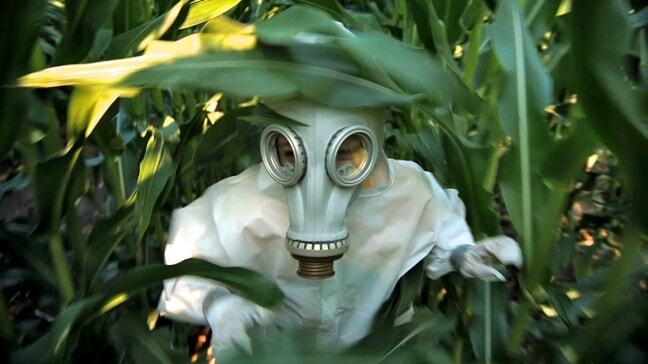 GMO OMG: What The HELL Are They Putting In Our Food?! What The HELL Are They Putting In Our Food?! 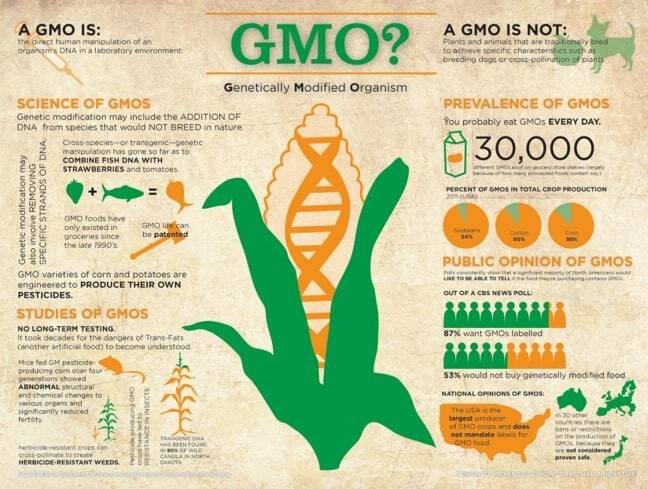 SO WHAT IS A GMO, EXACTLY? By definition, a Genetically Modified Organism is any organism whose DNA has been altered by genetic engineering, including plants, fish and mammals. The main genetically modified foods are cash crops like corn, canola, cottonseed oil and soybean. Seifert’s film comes along at a time when the debate over GMOs amongst consumers, biotechnology companies, the FDA, non-profit advocacy groups, farmers and scientists is reaching a fever pitch. There are a number of difficult questions that still desperately need to be answered about GMOs, including whether genetically modified foods should be labeled as such, the objectivity of existing scientific research, the effect of GMO crops on human health and the environment, their effect on pesticide resistance, and the potential role of these crops in eliminating the global hunger problem. But the biggest question of all may be, why don’t more Americans seem to care about the potentially hazardous chemicals we’re putting into our bodies? Over 80% of all corn, soy and cotton grown in the U.S. is genetically modified with pesticides to kill insects and/or herbicides resistant to weed killer. 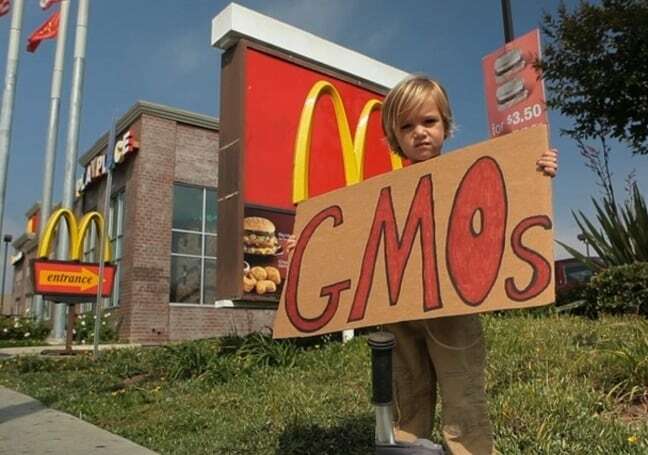 Over 80% of all processed foods on your grocery store shelf have GMOs in them. Over 90% of the total seed diversity in the United States has disappeared over the last century. The top 3 companies in the BioTech industry– Dupont, Monsanto, and Syngenta– control 53% of the total seed supply in the WORLD. Most of the GMO studies that have been done lasted just 3 months, and were funded by the very same companies that make GMOs. You can’t study long-term impacts of anything in 3 months. More than 60 countries (including Australia, Japan, and all EU countries) have either banned or significantly restricted the production and sale of GMOs. But not the United States. Seifert’s project was originally inspired by a news story he read about Haiti. 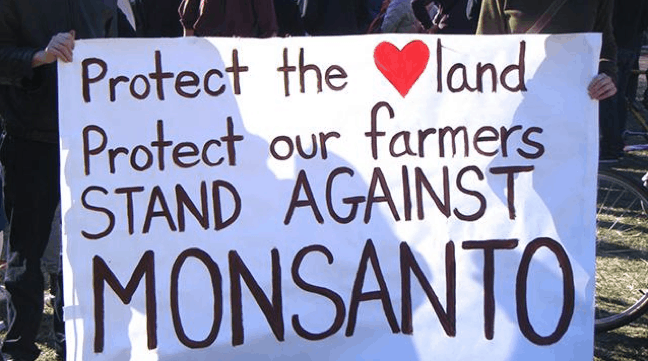 After the 2010 earthquake devastated the country, Monsanto offered Haitians 475 tons of seeds. Surprisingly, the impoverished nation did not respond with gratitude, instead burning the seeds and rising up in protest against Monsanto. “I had been to Haiti 6 months before the earthquake,” Seifert recalled during an interview after an Atlanta screening of GMO OMG. “ I spent time in Port au Prince and City Soliel, and saw the hunger and poverty there. When I read this article about 10,000 rural people marching in the streets, I didn’t understand why very poor farmers in a desperate situation would burn seeds. It just didn’t make sense to me why they would take such a radical stance.” So he returned to Haiti with cameras in tow to find out for himself. The Haitians Seifert interviewed for the film speak out passionately against what they refer to as “seeds of death.” They resent the fact that corporations like Monsanto are trying to patent and own nature. They say that the chemicals in GMO seeds kill the soil over time, ultimately rendering it useless. And perhaps most importantly, they insist that the rise of industrial agriculture will signal the death knell for independent farmers. Unless you regularly follow news about agriculture, biotechnology and the environment, you might wonder what all the fuss is about where Monsanto are their ilk are concerned. But Monsanto is the company that created Recombinant Bovine Growth Hormone. RBGH increased milk production in cows, but also caused them painful problems, and was banned in Europe and Canada due to puss/blood in the milk and a potential link to cancer. Monsanto invented Polychlorinated Biphenyl (PCB), a toxic chemical banned in the U.S. due to toxicity, but only after tons of the stuff was dumped into rivers, causing widespread environmental and health problems. They also brought us DDT, the pesticide in Agent Orange, which famously burned the skin off of Vietnamese civilians. 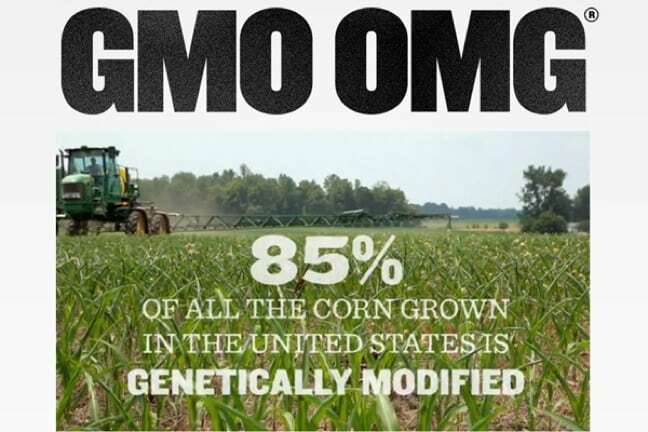 GMO OMG suggests that genetically modified foods may similarly present unknown consequences. The film cites Gilles-Éric Séralini’s controversial 2-year study on RoundUp-resistant GMO corn, which found long-term health risks such as hormonal imbalance and tumors of the mammary and pituitary glands. The research was refuted by many in the scientific community (some of whom are suspected to be on Monsanto’s payroll). But an online petition in support of Séralini’s study was signed by 80 scientists from the Bioscience Resource Project in January. While the jury may still be out on the veracity of Séralini’s study, we know this much to be true: Monsanto has sued more than 90 small farmers in the U.S., either for saving seeds patented by the company or for unknowingly growing GMO crops after seeds blew onto their land from neighboring farms. 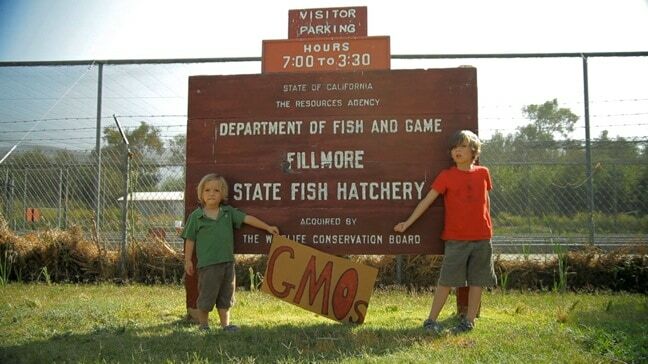 They’ve threatened to sue any state that attempts to pass GMO labeling laws, and spent $45 million on lobbying just to defeat California’s Prop 37 in 2012. They’ve also managed to infiltrate the United States government, with at least seven high-ranking officials in the FDA having Monsanto employment history. Given everything we do know about Monsanto’s corporate history, are these really the sort of people we want controlling 53% of the world’s total seed supply? GMO OMG ultimately raises more questions than it answers, thanks to Monsanto ignoring the director’s requests for an interview. But Seifert does point a finger of responsibility at those who ignore companies working to gain control over the world’s food supply: “There is a choice, and consumers have a role to play,” he says. Supporters of the sustainable food movement (which has made terms such as Slow Food, farm-to-table, and locavore into huge foodie buzzwords) have embraced the film’s anti-GMO stance. 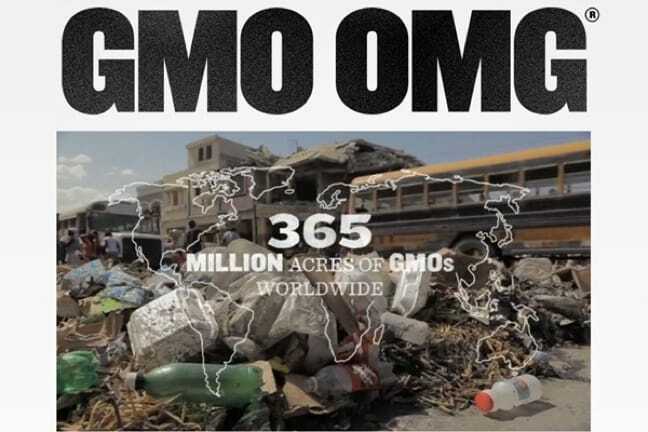 In turn, the film’s website refers those interested in learning more about GMOs to organizations such as Food Democracy Now, Center for Food Safety, Organic Consumers Association, Just Label It, and the Non-GMO Project. 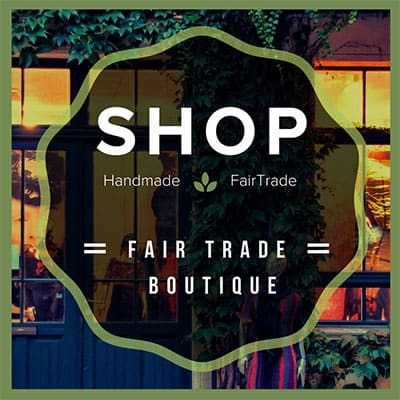 Their collective goal is public education, the labeling of GMOs, and a return to organic agriculture free of pesticides and herbicides.